Star Parker returned $20 in donations on this day. Star Parker received $500 in donations on this day. Star Parker received $2,800 in donations on this day. Star Parker received $600 in donations on this day. Star Parker received $460 in donations on this day. Star Parker received $4,600 in donations on this day. Star Parker received $1,350 in donations on this day. Star Parker received $686 in donations on this day. Star Parker received $2,000 in donations on this day. Star Parker returned $200 in donations on this day. Star Parker returned $50 in donations on this day. Star Parker received $1,000 in donations on this day. Star Parker returned $3,266 in donations on this day. Star Parker received $5,060 in donations on this day. Star Parker received $2,400 in donations on this day. Star Parker received $8,440 in donations on this day. Star Parker received $11,470 in donations on this day. Star Parker received $4,400 in donations on this day. Star Parker received $9,000 in donations on this day. Star Parker received $20,700 in donations on this day. Star Parker received $16,600 in donations on this day. Star Parker received $12,200 in donations on this day. Star Parker received $6,680 in donations on this day. Star Parker received $17,600 in donations on this day. Star Parker received $7,420 in donations on this day. Star Parker received $13,100 in donations on this day. Star Parker received $6,000 in donations on this day. Star Parker received $8,300 in donations on this day. Star Parker received $21,500 in donations on this day. Star Parker received $16,400 in donations on this day. 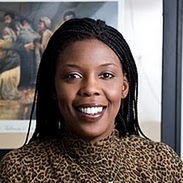 Star Parker has failed the 2010 Political Courage Test. Star Parker received $7,200 in donations on this day. Star Parker received $8,500 in donations on this day. Star Parker received $12,000 in donations on this day. Star Parker received $20,300 in donations on this day. Star Parker received $22,760 in donations on this day. Star Parker received $23,752 in donations on this day.